As you begin your search for a new vehicle, why not make it a Chevy? At DePaula Chevy, we have a full range of Chevy cars, SUVs, and trucks. We just know that we have the right vehicle for you and your family. Let DePaula Chevy put you in the vehicle of your dreams today! When you shop with DePaula Chevy, you are given our promise of quality. We work to exceed your expectations at every turn. We know the stress and frustration you have at other car dealers. We want to give you the best possible experience when shopping for Chevy cars and trucks. Shop with us and experience the difference we have to offer. Our extensive range of Chevy cars, SUVs, and trucks is one of the largest in the area. We have all makes and models of new and used Chevy vehicles. You will find that dream vehicle at DePaula Chevy. We guarantee it! At DePaula Chevy, we go out of our way to provide you with exceptional customer service. Our friendly team members have the experience you are looking for and can help you find the ideal vehicle for your family. We know buying Chevy cars can be daunting. We make it as easy and painless as possible. We can help find that Chevy vehicle that has all the features and options that you are looking for at a price that you can afford. We are here to help you and will do what it takes to make sure you are satisfied with your purchase. We never want you to walk away with regret in your vehicle purchase. That’s why DePaula Chevy is known for its customer service. We will help you when you are ready to make that final decision on which vehicle you want to buy. There are no high-pressure sales tactics when you shop at DePaula Chevy. We make sure of it! When you buy your vehicle from DePaula Chevy, you are getting our commitment to quality. We sell Chevy cars, SUVs, and trucks because we believe in the Chevy name. We know that you do too! That’s why we continue to offer Chevy cars and trucks every year. There is no disappointment with these great vehicles, they continue to stand the test of time. 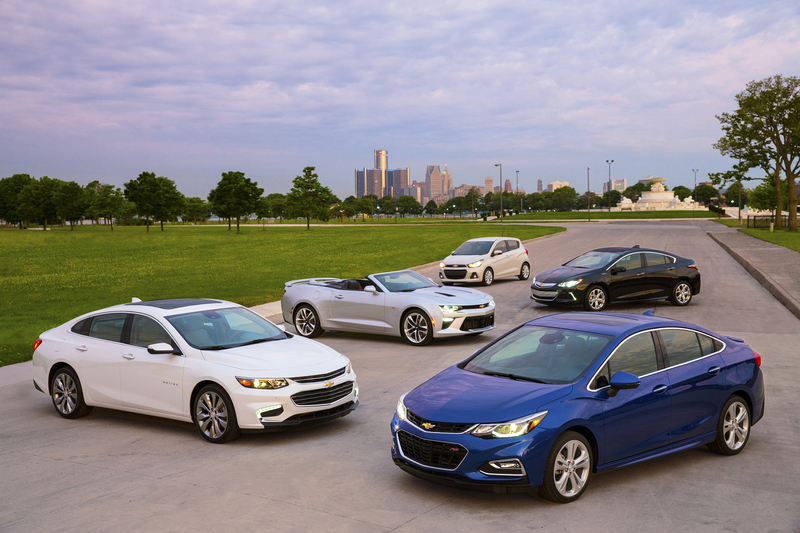 Make your new vehicle one of these great Chevys! You won’t regret your decision to buy our Chevy vehicles. DePaula Chevy has what you are looking for and will help you buy a vehicle that fits your lifestyle and family. No matter if you have heavy-hauling needs or are looking for a vehicle to get you to work every day, DePaula Chevy can fit you in the ride that works for you. We promise to never talk you into a vehicle that you can’t afford or doesn’t fit your needs. We want you to be happy with the vehicles you purchase from us. We want you to drive away with a smile on your face and money left in your wallet. We will do our part to ensure you are satisfied with your car buying experience at DePaula Chevy. As you look to buy your next vehicle at DePaula Chevy, rest assured we can help you afford exactly what you want. We keep our prices low, so you can drive away in confidence knowing that you were nor overcharged for a vehicle. We also offer complete financing packages that will work for you and your budget. We want you to have a pleasurable experience working with our team of professionals and financing is a big part of that experience. Our financing experts can design a loan program that allows you to have money left over to do the thing that you want without stress. At DePaula Chevy, we have a full range of financing options available. We can tailor a payment to your needs and budget. We don’t want you to feel strapped or buried in a monthly payment. By keeping our prices affordable on all our vehicles, we make it easier for you to get financing at a rate that works for you. Let our financing representatives help you finance the Chevy cars and trucks that we have available. We work diligently to provide you the opportunity to own the vehicle of your choice with our custom financing packages. Applications are simply to fill out, and there is help for poor credit histories. We can make your dream car or truck a reality. With our in-house financing department, you will find it is easier than ever to own Chevy vehicles directly with DePaula Chevy. Make DePaula Chevy, your next stop for a vehicle purchase. We can finance Chevy cars, SUVs, and trucks for you. We offer low payment, low rates, and convenient financing options. Come home to DePaula Chevy today! DePaula Chevy also offers a complete in-house service department. Our certified technicians can service your vehicle and make sure you stay on top of those service intervals recommended by Chevy. We have professionally trained mechanics that are ready to fix, repair or perform routine maintenance your vehicle. Because our Chevy cars and trucks are designed to be tough, we have fewer breakdowns, which means fewer repairs down the road. We want to keep you on the road. We only recommend service when you need it and keep our commitment to quality when we maintain your vehicle. Our service techs can help you understand what is necessary maintenance on your vehicle. We never try to upsell and make you pay for repairs you don’t need. Our service technicians are honest and trustworthy. They know Chevys and can help fix yours fast and efficiently. DePaula Chevy makes it possible to have service on your vehicle in the shortest amount of time possible. We know you live a busy life and don’t have time for delays. Let DePaula Chevy service your vehicle and provide you with genuine Chevy parts that are designed specifically for your vehicle. We are conveniently located and have available service appointments day or night to work with your schedule. Let us service your Chevy so you can drive with confidence. Trust in DePaula Chevy. We are ready to service your Chevy vehicle and provide you with the care you deserve. There is only one stop to make when you need service on your Chevy cars or trucks, and that’s DePaula Chevy. When you are looking for new or used Chevy cars, SUVs or trucks, shop at DePaula Chevy. We can provide you with the vehicle of your dreams. We have the right Chevy car or truck for you and your family. We can help get you into a Chevy car or truck today. Stop on down to DePaula Chevy, where we make dreams happen. We are waiting for you!